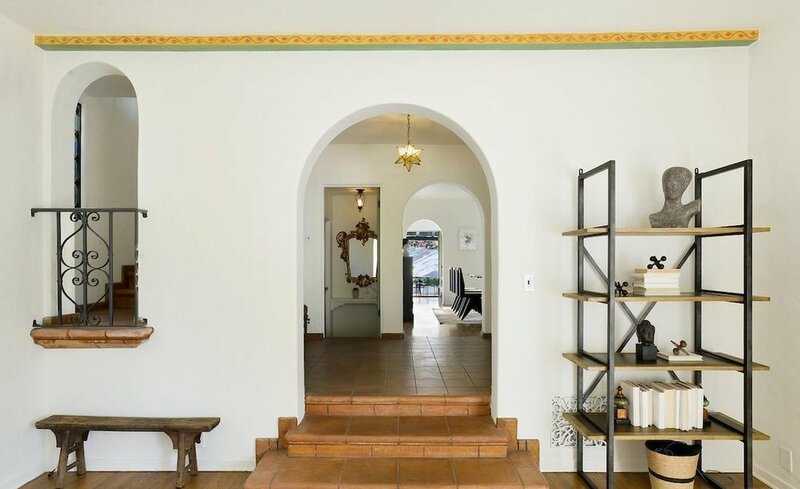 Rare Andalusian/Spanish style home with stunning original character detail. 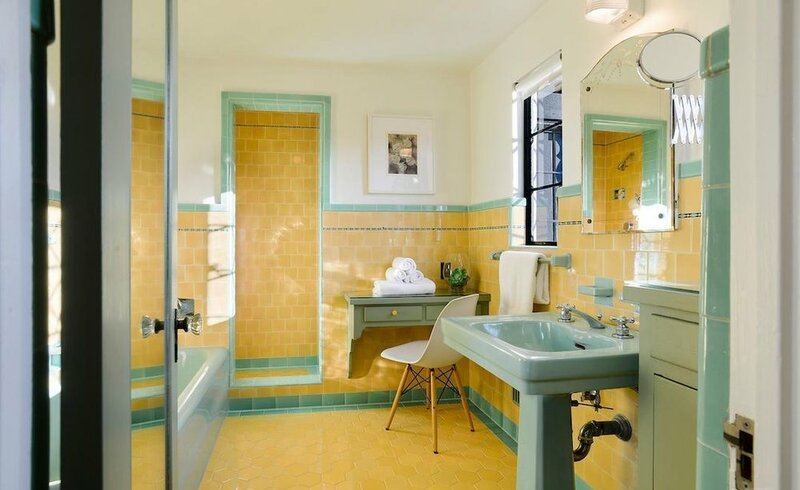 Built in the 1930s, this Hollywood grande dame features dramatic scale & design in every room. Formal entry leads to a breathtaking step-down living room with stenciled high beam ceilings, a Juliet balcony, wood-burning fireplace, picture windows & French doors that open to a private succulent garden patio, dining alcove & bubbling fountain. 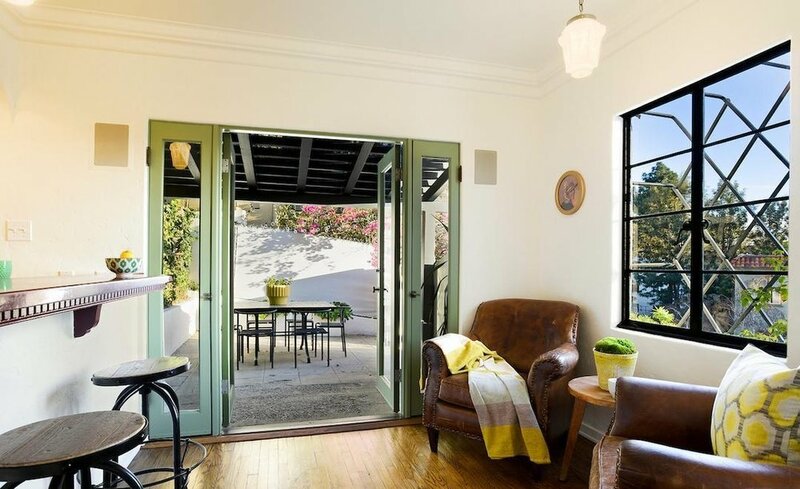 Formal dining room features French doors that lead to a citrus garden. Retro tiled kitchen has wood & glass cupboards, breakfast bar & dinette. Two spacious upper level master suites have coved ceilings, vintage tile bathrooms, walk-in closets & adjacent sitting rooms, one doubles as a bedroom/nursery. Three-car garage has been a graphic arts studio but still functions as a garage, office, gym or workshop. An exquisite home ideally situated near studios, transportation & entertainment.